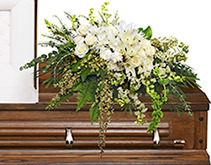 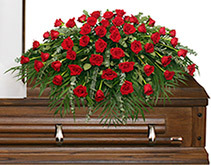 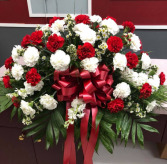 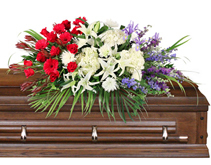 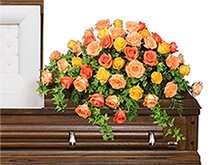 The Red and White Carnation Casket Spray by East Meadow Florist is a traditional Casket Spray created in carnations, asters and more. Also available in all white, pink and white, or assorted colors. 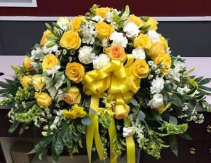 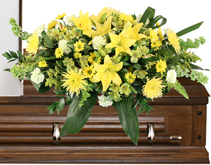 The Sunshine Remembrance Casket Spray by East Meadow Florist is glowing tribute in yellow and white. 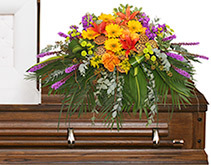 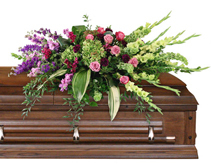 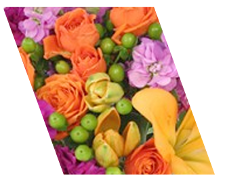 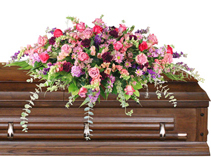 Roses, carnations, snapdragons, aster and more are combined to create a memorable tribute to a vibrant life.